Diamond Engagement Ring: How Big It Should Be? Diamond is every women’s best friend, is now an old statement. It would be correct if I say - It is a fashion and a status symbol these days. We want to show off with the size of our diamond. The bigger your diamond, the higher is your status. It seems childish but actually women who want to flaunt their style statement and bank balance, show off through their diamond collection. Today’s women don’t feel satisfied by owning one or two pieces of diamond jewellery, rather they want to own the biggest of all. And if it is a special occasion such as an engagement then there are no boundaries at all. You want to look the best and wear the bigger and brighter diamond engagement ring, 2 carat or so! • Always check the carat, clarity, cut and colour of diamond. • Carat is not the measure of its size but weight. • Colours best rated are I and J. • Clarity range recommended is SI1 –SI2. • Size of diamond is evaluated from the top view. • To understand diamond size, carat weight should be considered with respect to distance in mm across the top of the diamond and its grade. 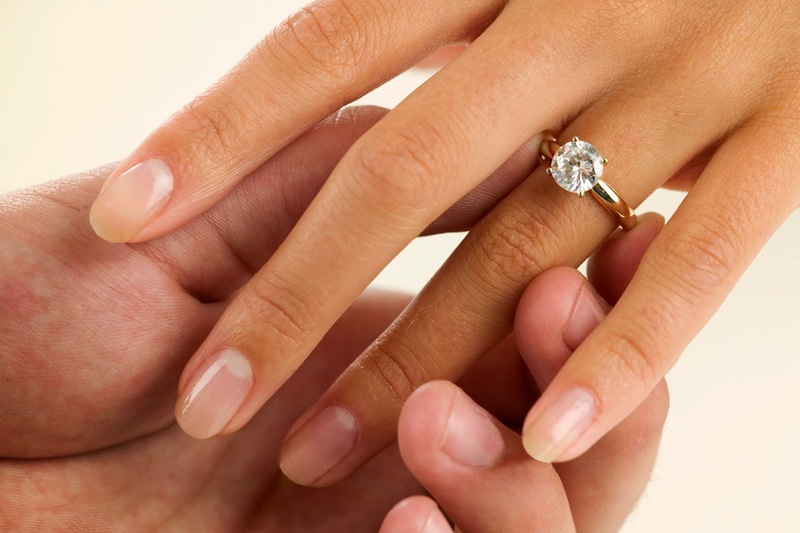 • For selecting a diamond engagement ring, check the size of ring first. • Not all settings will fit all carats or shapes. So, check it beforehand to avoid any mismatch. • Remember, the price of diamond jumps after half carat. Below this, prices are much less. • Lastly, go for branded diamond, it is always a safe bet. If these major points are taken seriously while purchasing a diamond, whether it is ½ carat or 2 carat diamond engagement ring, you would always pick the best. Surprise your beloved with the best engagement ring and start your new life on a beautiful note!